Here’s a scenario: You are trying to find a lost section of string in the world’s most massively tangled spool of yarn. Then try cutting that section of yarn that’s deeply embedded in the mess without inadvertently cutting another or losing track of the piece you’re after. For researchers, this problem is not unlike something they encounter in the study of genetic information in the tangled spool that is DNA. A new tool will help scientists straighten things out. The tool, developed by University of Missouri Bond Life Sciences Center investigators helps researchers effectively screen cell behavior by limiting epigenetic silencing, which occurs when a cell packages and stows away important genetic information, much like an accountant puts a client’s information away in a filing cabinet. The cell can go digging to find that information when it absolutely needs it, but otherwise that information is tucked away and inactive. Professors of biochemistry Mark Hannink, Tom Mawhinney and research assistant professor Valeri V. Mossine used insulators to develop the piggyBac transposon plus insulators, a better reporter of signaling between cells that makes improved screening possible. This simple addition to an existing screening tool used in laboratories will help streamline research and contribute to screening products like vitamins and supplements and medicines for authenticity, Hannink said. This is why the insulator addition to the piggyBac reporter assay by MU researchers is a game changer in the scientific world. DNA stretches out to nearly 10 feet when it’s uncoiled. That’s 10 feet of your body’s deepest secrets coiled into a microscopic package and tucked away into each and every one of your cells. The human body, by the way, holds an estimated 10 trillion cells. An inconceivable number, right? Let’s go back to our yarn analogy. 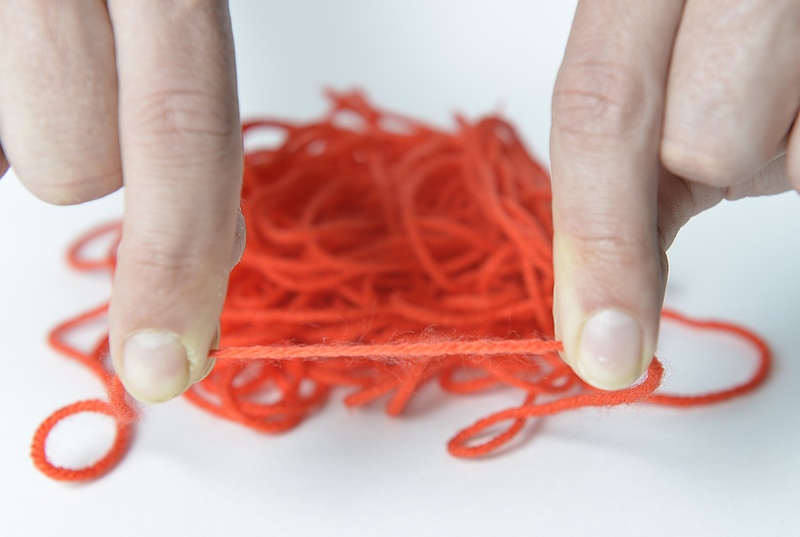 You’re trying to find one specific piece to cut but it’s deeply tangled in the mass of yarn. You need to find the piece that you really care about and clamp your fingers onto the yarn to reduce the slack — straighten it out — so you can cut it easily. Think of your fingers as the insulators. The insulators of the new piggyBac transposon tool perform the same task of stretching out the DNA so certain expressions through signaling pathways are held open, enabling the investigation of specific genetic material. Hannink hypothesizes this new reporter could provide answers to questions like: Does an anti-migraine medicine have the component that will relieve that ailment? Does a multi-vitamin deliver all of the nutrients on its label? Replication is a critical part of verifying scientific discovery and epigenetic silencing is a big headache for investigators trying to reproduce results. Scientists studying genetic material can open certain expressions with other reporter tools but often, the cell will turn expressions off and block signaling pathways, causing an expected result to fail because of epigenetic silencing. The new assay preserves conditions of an experiment so the same results can be reached. Cell behavior under the same conditions and expressions that were switched on during the experiment will be expressed. The new version of the reporter assay is being used at the MU Center for Botanical Interaction Studies to understand how botanical compounds affect the immune system and in other research on the central nervous system and on the development of prostate cancer. This research appeared in the Dec. 20, 2013 edition of PLoS ONE. It was funded by the University of Missouri Agriculture Experiment Station Laboratories and grants from the National Center for Complementary and Alternative Medicines, Office of Dietary Supplements and the National Cancer Institute. Over the weekend, Bond LSC HIV researchers Stefan Sarafianos, Marc Johnson and Donald Burke-Aguero joined Trail to a Cure, Inc., a Columbia nonprofit organization that helped fund important HIV research. Since 2008, the organization has raised $74,000 for HIV/AIDS research, with some of that funding going directly to the Bond LSC providing additional hours of lab research. The 2014 online fundraising is still open and donations can be made to Trail to a Cure, Inc. until the end of the month. The funding from Trail to a Cure helps Bond LSC researchers train future scientists and physicians in labs and in some cases, training them on the development of next generation therapies, Johnson said. 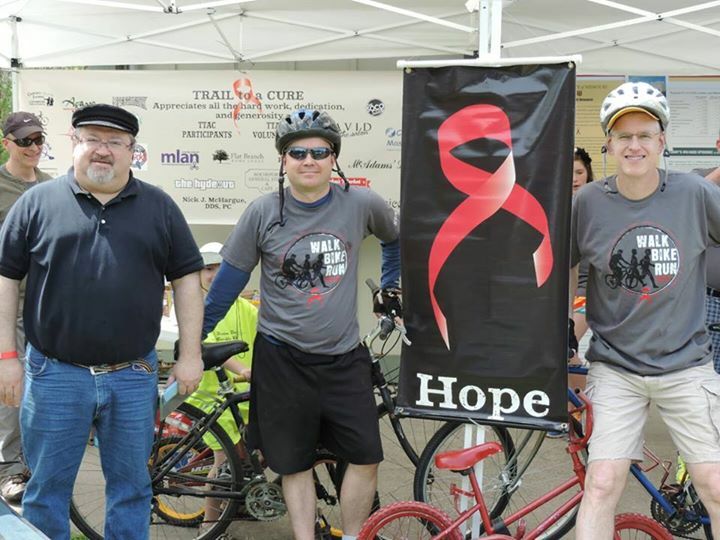 Bond LSC HIV researchers Stefan Sarafianos (left), Marc Johnson (center), and Donald Burke-Aguero (right) at the 7th annual Trail to a Cure along Katy Trail in Rocheport on May 3. | Credit: Trail to a Cure, Inc.. 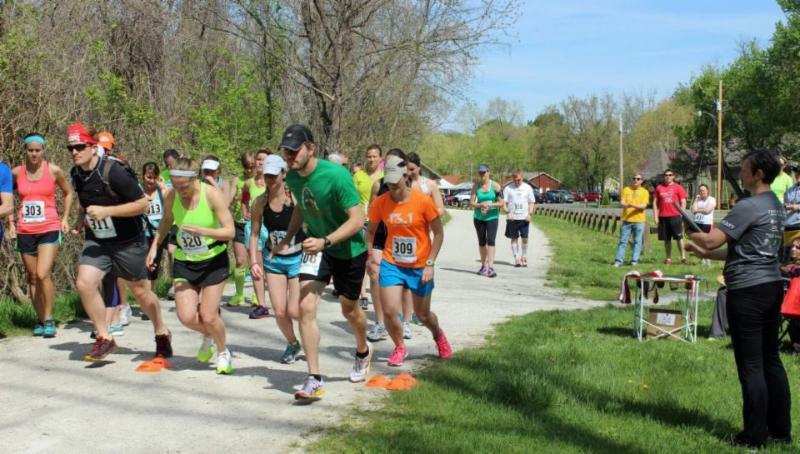 Trail to a Cure, Inc., a Columbia-based nonprofit, has raised $74,000 for HIV/AIDS since 2008. Part of the raised funds go to HIV research in the LSC, providing additional hours of lab research. | Credit: Trail to a Cure, Inc.